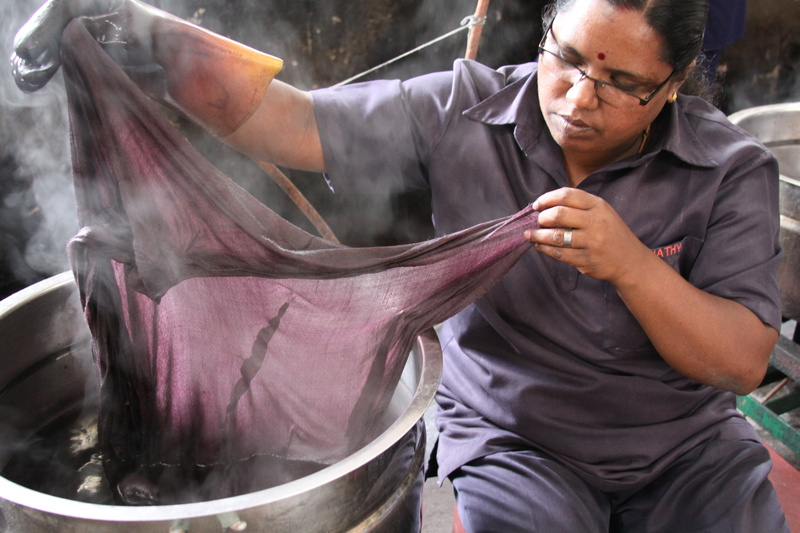 The last days of my trip to India were spent at the Srishti Welfare Center visiting the Aranya Natural Dye Unit. The Center is located in Munnar, Kerala, Southern India nestled in the midst of a tea plantation. 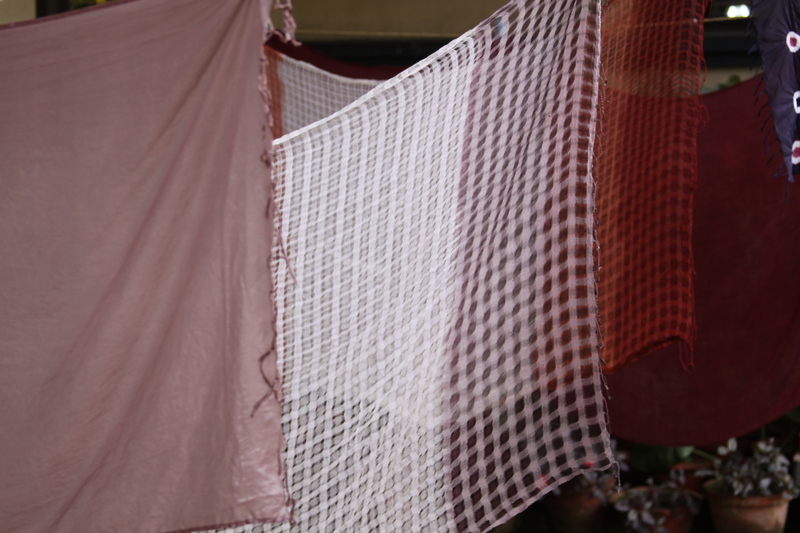 I worked with the amazing artisans to help them create three new colors for their palette of natural dyes. It had been five years since my last visit – it was wonderful to see them – there was so much catching up to do! I also brought back lots of beautiful scarves they had dyed and a few handmade journals from the paper making unit, Athulya. The sale of the scarves and journals benefit both Srishti and Stories of Hope! Look at these beautiful new colors! !